The leaves and the temperatures are falling, which means Winter will be upon us before long. It's beneficial to keep your hands hydrated all year long, but in colder climates, additional steps are necessary to combat the lower temperatures and drier air if you want your hands to look their best. Between the cold dry outdoor air and the indoor dry heat that our hands are exposed to during the colder months, it's important to remember that skin loses moisture much faster. I've been sampling a number of products that can help in the effort to keep your hands and body soft, supple and protected when the elements are harsher than normal, and I'll be sharing the ones that work best for me in my Winter Hand & Skin Care Series over the next couple of months. I've got some giveaways planned, some home made remedies you can try, tips and tricks, and several commercial product reviews planned. I hope you enjoy this series and that you learn something that can help you out with your winter skin woes! Seed is a company founded on the belief that the products we use in our day to day life should be safe for us and environmentally friendly. Their products are enriched with grape seed oil, which contains polyphenols, an antioxidant that has been proven to slow down the effects of aging. Grape seed oil also also contains linoleic acid, a fatty acid essential for healthy skin. The benefits of grape seed oil are plentiful, and it is also an excellent supplement when taken internally. 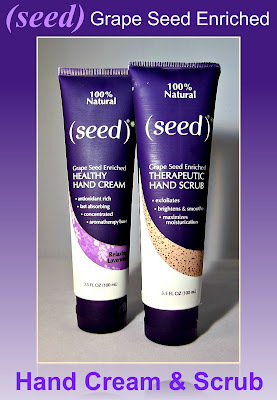 Let's take a closer look at Seed's hand care duo! These products provide a complete do-it-yourself home hand treatment that leaves your hands soft and supple, while protecting them from the elements they face in the colder temperatures. The products include a Therapeutic Hand Scrub and a Healthy Hand Cream. This two-step process is quick and easy to do, and remember that no matter what products you use to keep your hands in shape, the key is to use them consistently. The Healthy Hand Cream is of medium consistency, and the scent I'm using is Relaxing Lavender (also available in fragrance-free, and exhilirating citrus). This scent has a fragrance very true to its name, and it doesn't overpower any other scents you may be using. The Therapeutic Hand Scrub contains scrubbing grains to exfoliate, brighten and smooth the skin. The ingredients used in this also help to maximize moisture by removing dead skin cells. The process simply involves applying a dollop of the hand scrub to your hands, working it in for a minute or two using small massaging circular motions, then rinsing it off. I also make sure to massage the scrub around my cuticle area, because they seem to need extra smoothing and moisture during the Winter months. Hint: Use lukewarm water when rinsing hands, because hotter water temperatures are more drying to the skin. Seed recommends using this product once a week or as needed, and to refrain from using it on raw or cracked skin. I have been using this product twice a week. After towel-drying hands, apply the Healthy Hand Cream as your moisturizer. Hint: I don't dry my hands entirely before applying this. 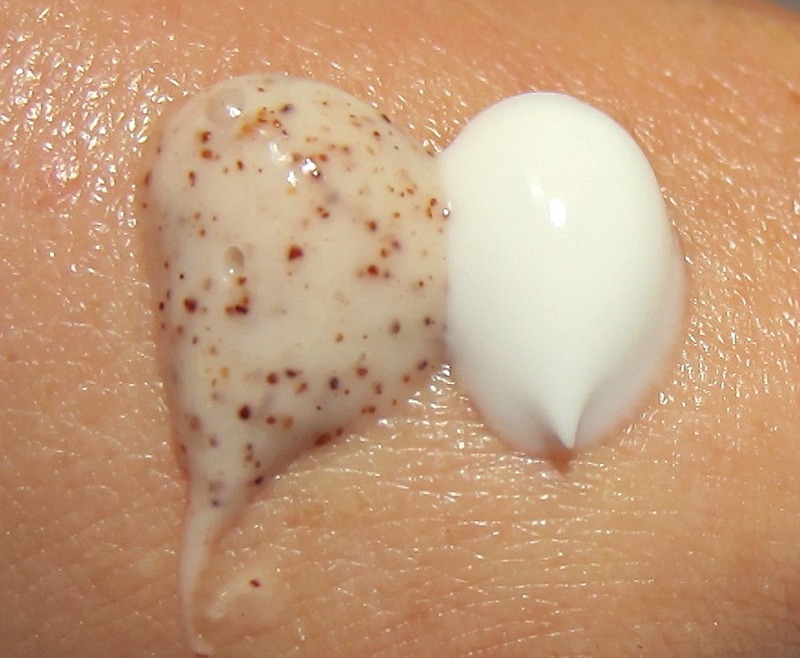 By applying moisturizer to damp skin, it helps to trap the moisture in the skin better. I apply this several times throughout the day, particularly after washing my hands and before going to bed. This cream feels slightly oily during the application, but it absorbs well and doesn't leave your hands with that slippery feeling. Give it less than a minute, and any oily look or feel is completely gone. This product contains several beneficial oils including grape seed, jojoba, lavender, sunflower and coconut. It also contains shea butter, a popular and effective ingredient that I'm very fond of. Both of these products are concentrated, so a little goes a long way. I find that my hands seem to remain soft to the touch, and look moisturized and healthy longer when I incorporate an exfoliating product into my routine. I can always tell when it's been 3-4 days since my last Therapeutic Hand Scrub treatment, because my moisturizer doesn't seem to last quite as long between applications. This is a reasonably priced product set that delivers results after the first use. It also works just as well on other areas such as my feet, elbows and knees. If you've read this far, you can now enter a giveaway! One follower will receive a full-sized Seed Healthy Hand Cream and Therapeutic Hand Scrub set, so you can pamper your hands with a little home hand spa treatment. Your hands will be able to make it through the Winter looking and feeling soft and beautiful. The Rules: I encourage you to sign up for the Seed newsletter, which you can find in the left corner at the bottom of this page. You will not be bombarded with information from Seed, I promise you! Their newsletter is an easy and interesting read that I think you'll enjoy. You can also stay up to date with Seed by joining their Facebook page here, and following them on Twitter here. You can purchase Seed at a variety of stores and on line, all of which can be found here. If you'd like to enter (U.S. only, as product will be shipped directly from Seed), just leave your eMail in the comments section below. Entries will be accepted until 10/30/11, and the winner will be announced 10/31/11. *Products and prizes featured were furnished by the manufacturer. My hands have been so dry and ugly lately. I'm looking forward to this new series from you Mary! i'd love to try some winter weather remedies. i live in hawaii so i don't have as harsh winter weather as the mainland, but my hands still feel the effects. i've always wanted to try a product with grape seed oil. I signed up for their newsletter. Anything that could help my hands, I'm willing to read and try! Wow. This looks great. My hands are always so dry, so I'm perpetually on the lookout for something like this that actually works well! this is great! i hate it when my hands become dry. You know the holiday season is approaching when your hands start to get dry! I would love to be entered to try these out. I am always trying out hand creams and have yet to find one that I really love. MY hands r really dry n sometimes have cuticles on my fingers ,hopefully can try this ,the lotion i have is not working. thanks Mary.....tnelz332001@yahoo.com,tina..
Dry skin is my nemesis. My hands already feel like someone is rubbing sand paper on them they are so dry - and the heat just went on a couple of weeks ago. Boy do I need this! My hands take a beating, working in the garden, takng care of horses, housework, and crafting with concrete and wood. These products would be a dream come true for my haggard old hands. I'm dying to find a good moisturizer for my hands! I have such dry hands and cuticles. I would love to try this. This sounds like a wonderful product. My hands get so dry in the Winter. My cuticles really get even worse. Thanks for this giveaway. This seems simply divine. I must have this in my life as soon as possible. Washington winters tend towards slightly milder, at least on this side of the mountains, but I'm still definitely looking forward to this series. And anything I can use on my poor abused feet, too, wins extra bonus points in my book! I would love to try these Seed products. :O And the company philosophy is great, I'm always looking for cruelty-free, more chemical-free, and environmentally-conscious companies. 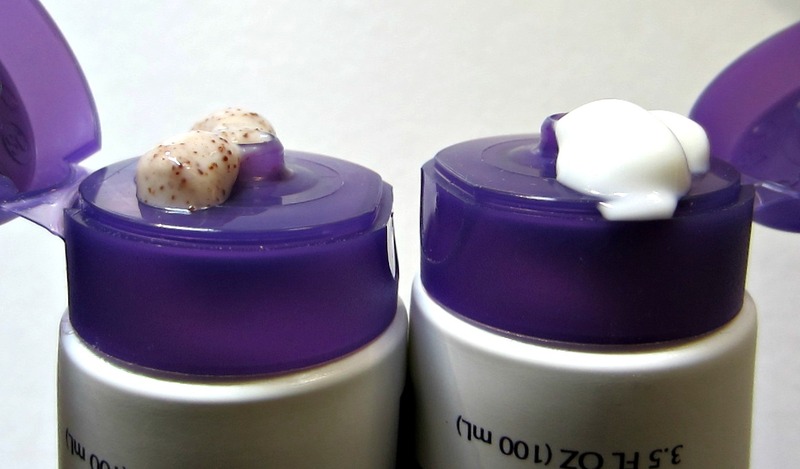 I got a sample of Seed lotion and I really like it, so I'd love to try these products too! The air here is really dry in winter. My hands need a rescue! This sounds so interesting and I need all the help I can get with my 51 year old hands. Lots of offer here.. I like try this product.. I want to try that.. My hand is very dry and i like to try some of new skin products..